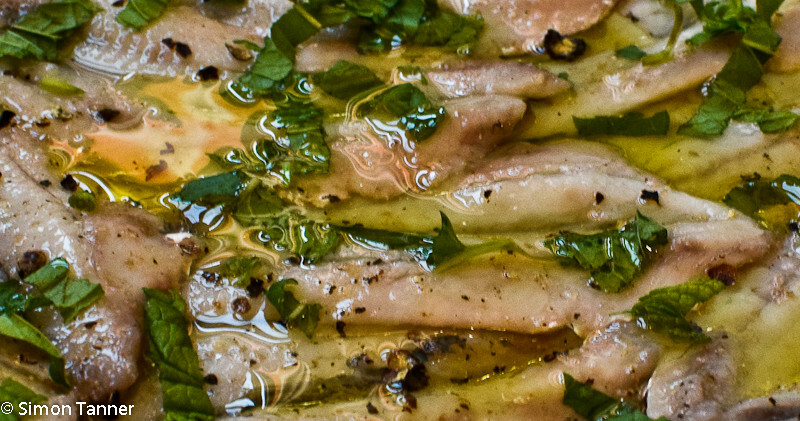 Anchovies: you either love ‘em or you hate ‘em, especially in their preserved form – salted or in oil, in which they are only for aficionados of hard-core fishiness. I love them, but I must admit, it took a few years to acquire the taste. They’re one of the first things you’re likely to come across in Messina, part of the traditional focaccia topping of tomatoes, tuma cheese and escarole. Their salty, primeval kick can become addictive. In their fresh state, however, they are a completely different kettle of fish, quite literally, and although they pop up in various recipes, the most popular ways of dispatching them are either marinated or fried, so I’m giving you both versions here. You could – and I did – make a whole meal out of them, serving the marinated fish as a starter and then following with a pile of the fried ones as a main course. What you do need, if you want to save yourself time and very smelly hands, is an obliging fishmonger. Here, thankfully, anchovies are often sold on sheets of transparent paper, already beheaded, gutted, deboned and butterflied. Once this rather messy work has been done for you, they are simplicity itself to prepare. Remove head, gut and butterfly anchovies, removing central spine in process (thanks again Mr fishmonger). Wash and dry, then throw into flour. Toss them about until well coated, then fry them in fairly small batches in a deep pan of hot oil, shaking off excess flour before lowering them into the pan. As each batch is golden, remove with slotted spoon and drain on kitchen roll. Serve with lemon wedges to squeeze over and eat immediately. 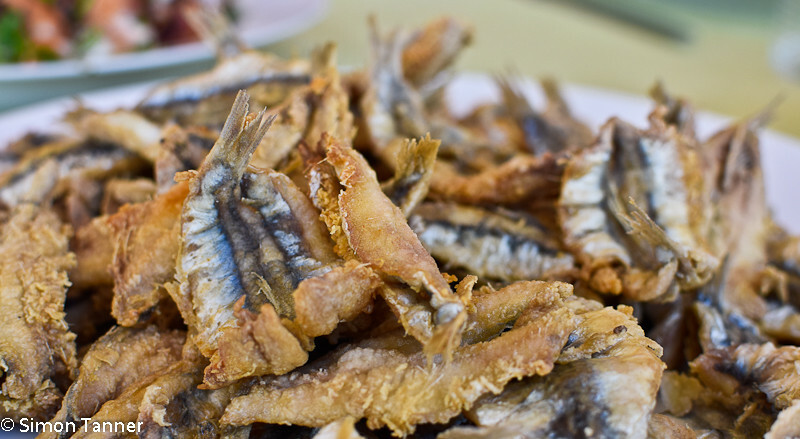 Fried fish is a perfect match for bubbly; an Etna sparkler would go well here if you can get hold of one. You want something fairly dry and not too aromatic, to cut through the natural oiliness of the anchovies, so if you can’t go Sicilian, opt for a Franciacorta from Lombardy rather than a Prosecco. Cava would also work. This entry was posted in Fish, Ingredients and tagged anchovies, fish, seafood by hungryenglishman. Bookmark the permalink.